Testosterone is essential for so many bodily functions. It helps promote lean muscle mass and offers some amazing benefits, such as improved mood, better energy, and good quality sleep. It is also associated with improved libido and better overall quality of life. The problem is that most men experience a decline in their testosterone levels after the age of 30. This puts them at an increased risk for type-2 diabetes, heart disease, low mineral density, obesity, reduced muscle mass, and impaired sexual function. The good thing is that you can try some natural testosterone boosters to keep enjoying the amazing benefits associated with high testosterone levels. A decline in testosterone levels can hit you in many ways. Not only can it reduce muscle mass and impair sexual function, but it can affect the quality of your life as well. That is when you can make use of the following natural testosterone boosters. 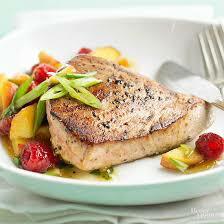 Packed with vitamin D, tuna works great to boost testosterone levels in the body. It provides you with loads of protein and is also good for your cardiovascular health. Both canned and fresh fish can help boost testosterone levels. You can also include sardines or salmon in your diet to get vitamin D that is important for keeping your testosterone levels high. Milk is a great source of calcium and protein, but it works great to boost testosterone when it is fortified with vitamin D. Therefore, it is important to ensure that you make the right choice and opt for skim or low-fat versions. 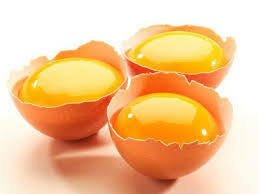 Egg yolks are also among natural testosterone boosters because they provide you with loads of vitamin D. It is true that egg yolk is high in cholesterol, but it also contains more nutrients as compared to egg whites. You do not need to worry about cholesterol in egg yolks so long as you do not already have high cholesterol or other cholesterol related issues. Cereals are good for your health, but they help boost testosterone levels when they are fortified with vitamin D. Cereals are actually a better option for people who cannot eat egg yolks due to high cholesterol. 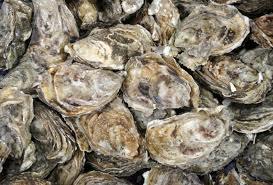 Zinc is important to regulate testosterone levels in the body and oysters are laden with this nutrient. If you already have low testosterone levels, you may still benefit by eating oysters or sticking with a diet high in zinc. Including a serving of lobster or crab in your diet may help boost your T-levels. That is mainly because shellfish is a rich source of zinc. A 3 ounce serving of Alaskan king crab provides you with 43% of your recommended daily intake of zinc. 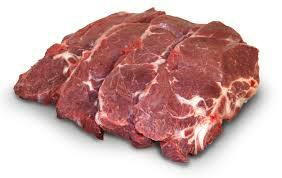 While overconsumption of beef or red meat is not good for health, it may still help boost your T-levels. You just need to eat in moderation to enjoy its amazing benefits. Beef liver is especially beneficial for raising testosterone levels because it is a great source of vitamin D and zinc. Men who do not get enough sleep daily usually have low testosterone levels. Sleep deprivation can actually affect a variety of hormones and other chemicals in your body. Your body repairs itself during sleep by releasing growth hormone. Therefore, it is important to take at least 7-8 hours of sleep every night. Talk to your doctor if you have a sleep disorder that makes it difficult to go to sleep or stay asleep. Obesity can always cause several health complications and it can also lower your testosterone levels. You can boost those levels by following a healthy diet and keeping your weight in check. If you are overweight, lowering your weight may help boost testosterone levels. In addition to natural testosterone boosters, staying active throughout the day will also help manage your weight better. When you have a sedentary lifestyle, your brain gets a signal that you do not need enough testosterone to maintain lean muscle mass. This can lower the production of testosterone. 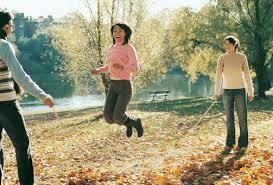 Therefore, it is important to include regular exercise in your routine, even if it is 10-20 minutes of brisk walking. Strength training may also help – you can slowly build your strength by using elastic bands. Just keep in mind that you should not engage in strenuous workout sessions because such endurance exercises can lower T-levels. Your T-levels will fall dramatically when you do nothing to control stress. Chronic stress can cause all sorts of health complications. In stressful situations, your body releases cortisol that can affect the levels of testosterone in a negative way. Therefore, it is important to control stress to boost testosterone again. Consider cutting back on work hours and engage in activities that you really love to do. You may also try relaxation techniques, such as yoga, meditation, or deep breathing to relieve stress. 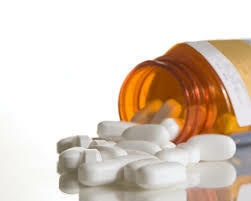 Many people do not know that the medicines they take can kill their testosterone. This could happen if you are taking opioid drugs, such as MS Contin, fentanyl, or OxyContin. Glucocorticoid drugs may also affect your T-levels in a negative way. The same holds true for anabolic steroids. It is important to understand that while medicines can affect T-levels, you should not stop taking them without discussing everything with your doctor first. Sometimes, you can manage things better simply by adjusting the dose. Talk to your doctor and they may prescribe a better alternative.